The three north-eastern states of Meghalaya, Manipur and Tripura celebrate statehood day on Monday. President of India Ram Nath Kovind on Monday wished the people of the three north-eastern states on Statehood Day. Prime Minister Narendra Modi also wished the people of all the three states on the occasion. Prime Minister Modi took to his official Twitter handle to extend his wishes. 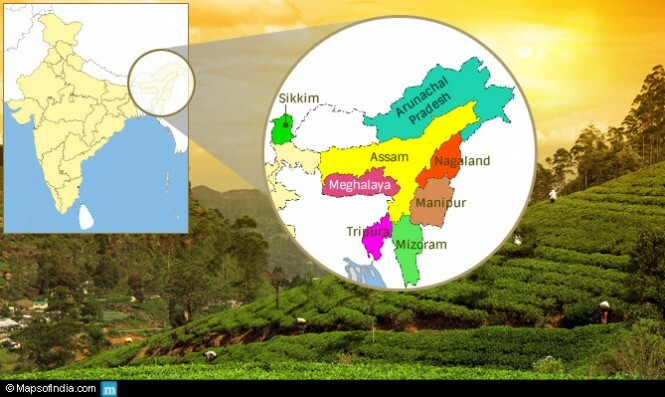 ‘Greetings to my sisters and brothers of Meghalaya on their Statehood Day. I will always cherish the affection of the people of Meghalaya. The state’s natural beuty is enchanting. ‘On their Statehood Day, my greetings to the wonderful people of Manipur. On the other hand, Manipur Chief Minister N Biren Singh on his part retweeted President Kovind’s greetings. ‘Best wishes to the people of Tripura on their Statehood Day. ‘Greetings to my beloved brothers & sisters on the occasion of Statehood Day of Tripura.